This undesired effect is called "aliasing" and it's a result of a limited numbers of pixels that are available for rendering. Since there are no displays out there with unlimited resolution, it will be always visible to some extent. There's a number of ways to fix this and in this chapter we'll focus on one of the more popular ones: Multisample anti-aliasing (MSAA). 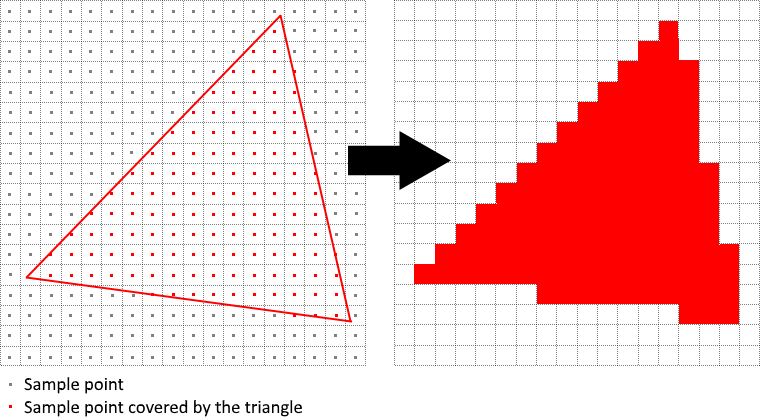 In ordinary rendering, the pixel color is determined based on a single sample point which in most cases is the center of the target pixel on screen. If part of the drawn line passes through a certain pixel but doesn't cover the sample point, that pixel will be left blank, leading to the jagged "staircase" effect. 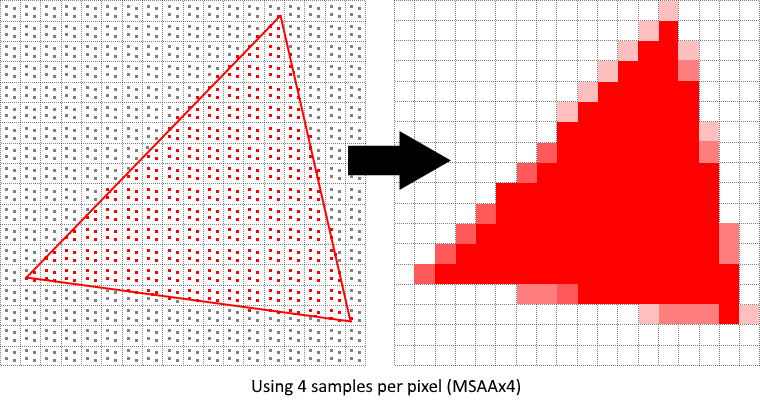 What MSAA does is it uses multiple sample points per pixel (hence the name) to determine its final color. As one might expect, more samples lead to better results, however it is also more computationally expensive. 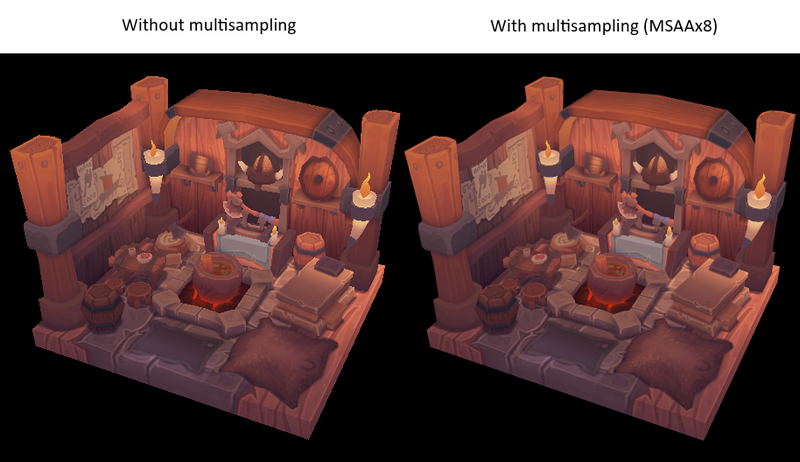 In our implementation, we will focus on using the maximum available sample count. 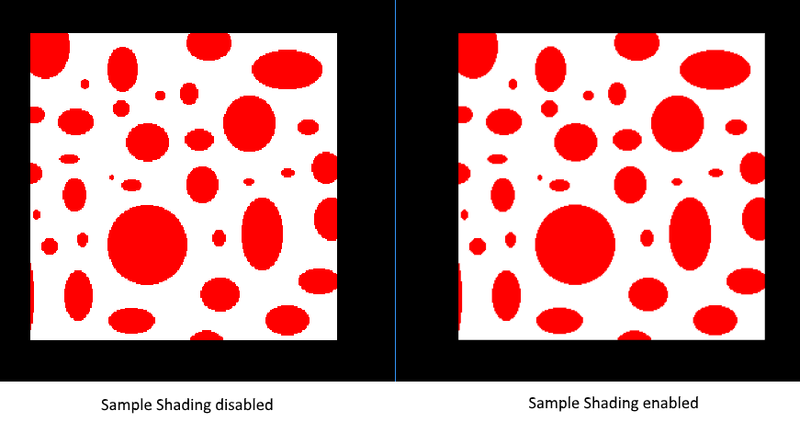 Depending on your application this may not always be the best approach and it might be better to use less samples for the sake of higher performance if the final result meets your quality demands. 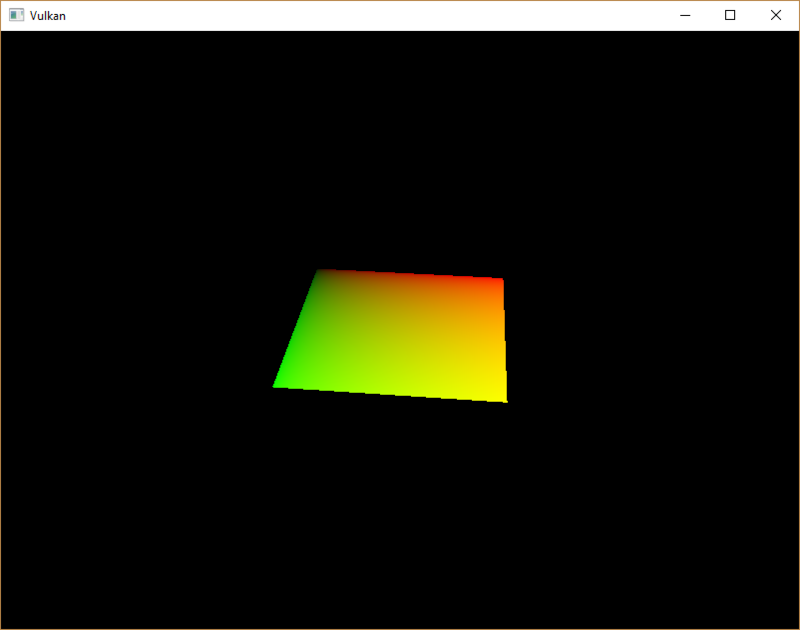 We made it past the initial MSAA setup, now we need to start using this new resource in our graphics pipeline, framebuffer, render pass and see the results! 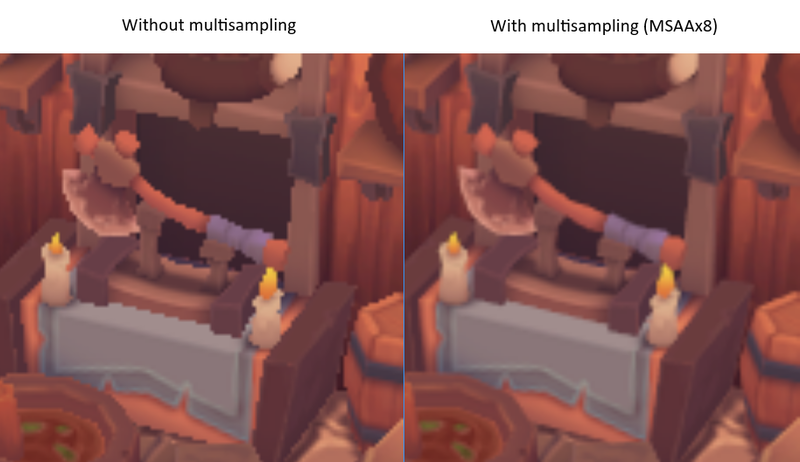 Just like with mipmapping, the difference may not be apparent straight away. On a closer look you'll notice that the edges on the roof are not as jagged anymore and the whole image seems a bit smoother compared to the original. The current program can be extended in many ways, like adding Blinn-Phong lighting, post-processing effects and shadow mapping. 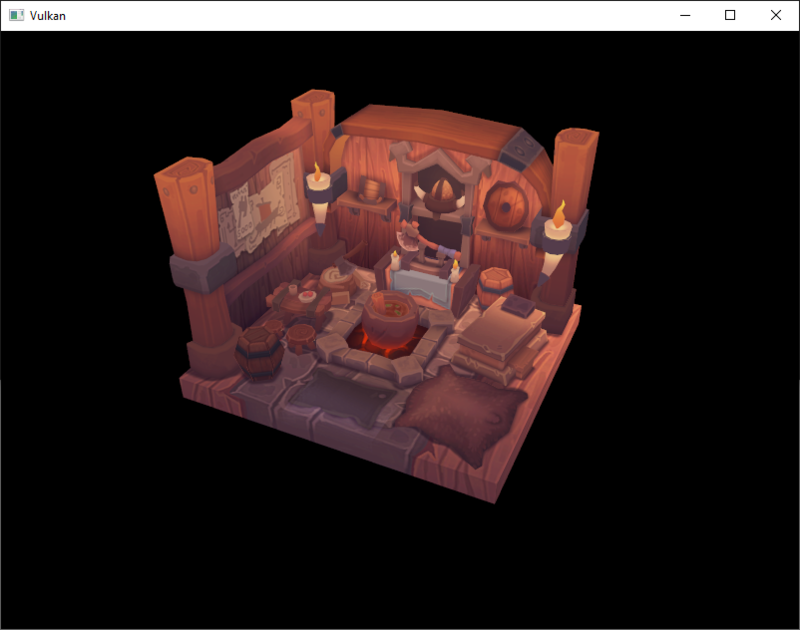 You should be able to learn how these effects work from tutorials for other APIs, because despite Vulkan's explicitness, many concepts still work the same.